It is that time again.... summer music in Athens! AthFest 2014 is the 18th annual musical and arts festival in Athens, Ga. from June 18 - June 22 celebrating music, art, kids and film. This event is named the Top 20 Event by the Southeast Tourism Society, and one of the Top 10 Summer Music Festivals by Livability.com! There are more than 100 bands on outdoor stages and in Athens&apos; renowned clubs, local film screenings, art, and KidsFest during the festival. These events are perfect for all ages, so bringing your family together in Georgia for a reunion in Athens this summer is a wonderful way to enjoy the outdoors and all that Athens has to offer. This is a five day, all weekend long event! Feel free to come for as little or as long as you want. KidsFest at AthFest will be Saturday from 12:30 - 5:30 p.m. and Sunday from 1 p.m. - 5 p.m. The KidFest stage includes performances Saturday by Zokky the Kangaroo, T. Rumble and the Kids, Angaza Dancers, Clarke Middle School Orchestra, Open Mic, Rebecca and the Sunshine Band, Oglethorpe Elementary Step Team, Alter Ego, Nuci&apos;s Space Camp Amped, and sunday by Like Totally!, Cedar Shoals Jazz Band, Barnett Shoals Show Stoppers Step Team, Happy Hands Band, AKF, Audrey, and Feedback. In addition to these musical performance, there will be activities for kids including homemade music crafts, carnival games, inflatables, bungee jump and rock climbing wall. Affiliated events start June 18th including LaughFest at the Georgia Theatre at 9 p.m. featuring New York based comedian Sean Patton & Friends, The Flagpole Athens Music Awards at Morton Theatre and New Earth Music Hall&apos;s annual Wired Music Festival. You can find the full schedule of performances and other valuable information on the Athfest website. 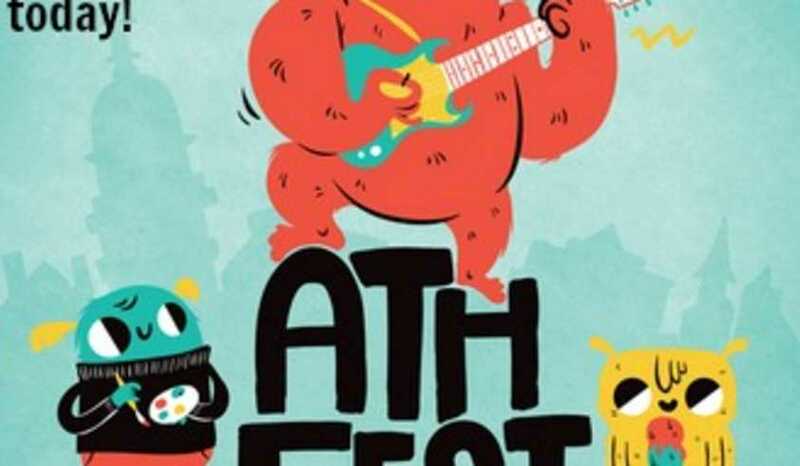 The free outdoor performances for AthFest include Kishi Bashi, Reptar, Drivin&apos; N Cryin&apos;, Elf Power, Radiolucent, Family and Friends, Seven Handle Circus, Yo Mama&apos;s Big Fat Booty Band, Rub the Rabbitfoot, Five Eight with Jack Logan, stokeswood, Blasting Cap and Judah & The Lion. These outdoor performances are Friday and Saturday night. Afterwards, the Club Crawl kicks off, featuring 14 local venues, which you can get into when purchasing a wristband. Club Crawl shows include Dead Confederate, New Madrid, Futurebirds, Roadkill Ghost Choir, Brothers, The Woodgrains, Ike Stubblefield with Eddie Roberts, (of The New Mastersounds) & Jermal Watson, Eureka California, Murk Daddy Flex, Powerkompany, Darnell Boys, Muuy Biien, and Hope for Agoldensummer. If you are interested in hearing these bands before the festival or want an album to remind you of the festival afterward, there is AthFest Compilation Album that you can purchase for $15. This album is a yearly release produced by Ghostmeat Records and available through the AthFest website. For the first time ever, the 2014 Compilation will be released on Vinyl. Not only is this a limited edition item, but its sale supports AthFest Educates, a non-profit dedicated to local music and arts education. Why not help yourself and others around you at the same time? There are two main stage areas for AthFest. The first is on Washington Street in the two blocks in front of the 40 Watt Club. This area will house the outdoor stages, Artist Market, KidsFest, vendors and more. The second stage is located on Hull Street. Club Crawl venues are located throughout downtown, including Georgia Theatre, 40 Watt, The Melting Point, New Earth Music Hall, Caledonia Lounge, Go Bar, Little Kings Shuffle Club, Hendershots, Flicker Theatre, The Globe, The World Famous, Max (side room), Cine and Morton Theatre. The outdoor stage performances are free and open to all ages. To get into all indoor venues, you can purchase all-venue wristbands available for sale for $17.50; however, this wristband price may increase closer to the festival date. If you are looking for a great deal and an easy way to reserve your spot in Athens, you can purchase overnight packages at the Holiday Inn Express and via the Special AthFest Deals website, which includes AthFest merchandise for a great deal. These packages include a room reservation, 2 wristbands, and 2 t-shirt vouchers (a $60 added value in AthFest merchandise!) 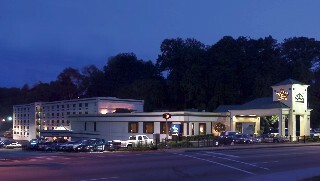 for just $119 the first night and $79 each additional night. Where there is music, there is usually food in Athens. The two go hand-in-hand. Walking throughout Downtown Athens throughout the day and strolling between music performances and restaurants in the evening is what summer is all about. Talk about a fun, relaxing time! 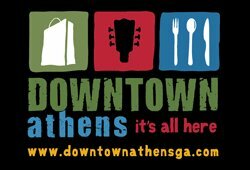 Athens restaurants are just as part of this festival as the music, art, and street activities themselves. Eat at different Athens restaurants during your visit to experience the full Athens local cuisine. Wander into a pub or bar for a cocktail before dinner or a late night drink between performances. Eat soup and salad at one restaurant and then take your progressive dinner to another for your entree. Never forget the dessert! Because the festival is in Downtown Athens, there are more than enough restaurants to choose from and all sort of restaurants to fit each pallet and age group. However, other great areas of Athens including Five Points, Prince Avenue, and Normaltown are just a short walk or drive away and are just as much something to brag about such as Hugh Acheson&apos;s (Top Chef Judge) The National, 5 & 10, and a new restaurant Cinco y diez in Five Points. You can&apos;t go wrong when you are in Athens. Take in the summertime with all your senses! Stop and smell... stop and taste... stop and hear... Athens musical festival AthFest! What will your summer sound like?